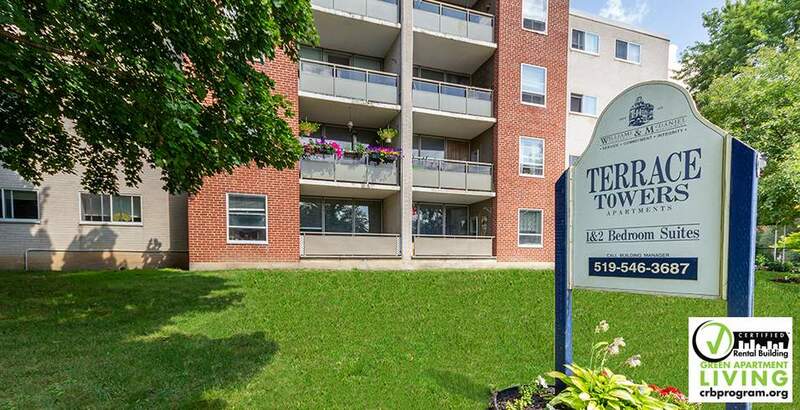 Terrace Towers, located opposite to the expansive Royal City Park, are the first industry certified apartments for rent in Guelph, along with other Williams & McDaniel's Guelph apartments. To you this means not just a great location but also high standards of service and management. They are ideally located just outside downtown Guelph, a short walk from the Farmers' Market. Whether you are into morning jogs or sipping tea, you will find it helpful to be across from the Speed River and close to trails. For commuters, there is a nearby bus stop, as well as close access to HWY 6 South and HWY 24. Please note: Square footage and pricing varies per unit. Try out our online room planning tool!